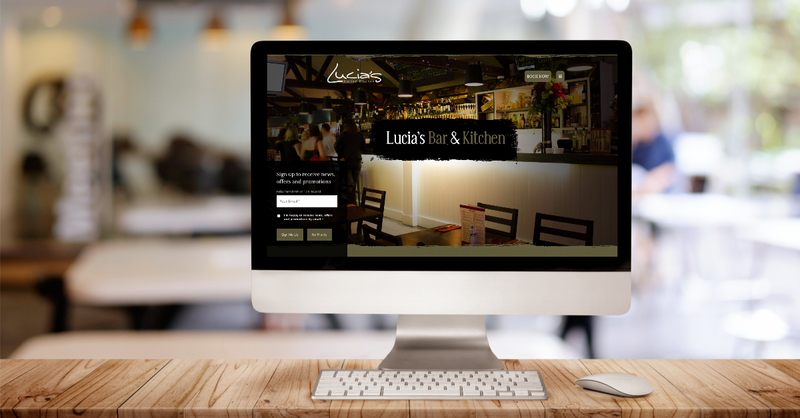 It is with great pleasure we can unveil the new website for Lucia’s Bar and Kitchen in Yarm. mm&d have been working with the team at Lucia’s for a number of months, with the aim of creating a modern website that would improve the reservation process for customers. The previous website was becoming dated and no longer matched the branding used by the restaurant. We have enjoyed working with Chris and his team at Lucia’s on this site. We have built sites for a number of restaurants in the past and this is a good example of a clean design with modern navigation. For businesses to have most impact from their websites, in particular restaurants, high quality imagery is key. Chris used a photographer to take professional shots of the restaurant and food which has played a major part in the quality of the launched site. The whole process with mm&d has been smooth. Communication with Mark and his development team has been consistent and we now have a website that we are really proud of. We have had really positive feedback from our customers since the launch.